This is the type of drama the NFL architects spanning decades always aimed for: mad scramble time. With two weeks left in the regular season, it would take a math scientist to account for the hundreds of possible scenarios. It’s Separation Sunday, and there are some simple equations. If the New Orleans Saints win the big NFC South showdown at the Carolina Panthers, they will claim the division crown and a first-round bye – which seemed a given a few weeks ago. If the Seattle Seahawks handle the Arizona Cardinals, they will clinch the NFC’s No. 1 seed. 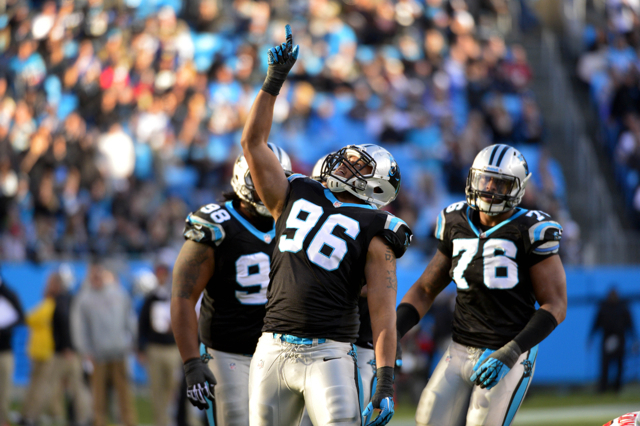 Win-and-you’re-in scenarios also exist for the San Francisco 49ers and Panthers. We mentioned Carolina? Of course. This is where it gets tricky. Just when you think you know exactly how it will unfold, along comes Week 15 – when one division leader after another tumbled. And then there’s Week 17. The Dallas Cowboys and Philadelphia Eagles might meet in a winner-take-all finale for the NFC East title. The Chicago Bears and Green Bay Packers could meet to settle the NFC North crown. The Denver Broncos might need Week 17 to wrap up the AFC West. 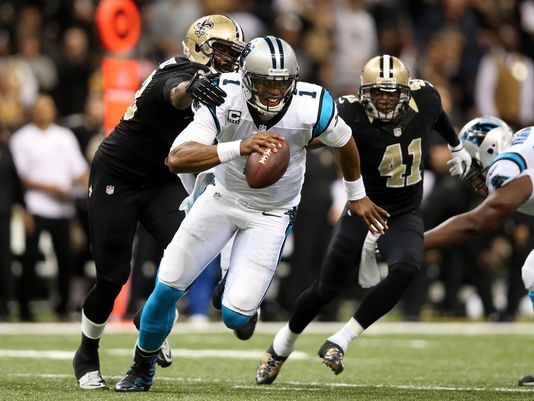 Will Saints’ road struggles continue at Panthers? Imagine the joy at the NFL’s headquarters on Park Avenue. This is exactly what Commissioner Roger Goodell envisioned – as did predecessors including Pete Rozelle and Bert Bell – when he made the decision a few years ago to save more divisional games for the final two weeks of the season. That was brilliant, and the tight races that have kept the NFL’s interest at a steady climb – at the right time of year – are the byproduct of the scheduling, in addition to the parity. This year, it’s as if the stars have aligned for the NFL, with the scheduling strategy in harmony with the competitiveness. As we sit here now, one team has clinched a division title And it’s not even Seattle, which has the NFL’s best record. Take a bow, Indianapolis Colts. Eight of the 12 playoff slots have yet be claimed. If you’re a participant, scoreboard watching might never hit home like this. Kelce’s stance is understood. Worry about what you can control. In another sense, though, he might realize you could drive yourself batty trying to sift through the various machinations. The Eagles actually catch a bit of a stress break, in that they will host the Bears on Sunday night. By the time they hit the field, they will know whether the Cowboys won at the Washington Redskins. Even if the game is meaningless, the Eagles better keep their heads on a swivel. Coach Chip Kelly, coming off an embarrassing loss at the Minnesota Vikings last Sunday, says he won’t rest his starters. The Bears, on the other hand, need to win, regardless. They can clinch the NFC North title with a victory combined with losses by the Detroit Lions and Green Bay. Such scenarios are all over the place. The New England Patriots are desperate for a win, but so are the Baltimore Ravens, who could have a Week 17 showdown for the AFC North crown at the Cincinnati Bengals. You are currently reading Bell Tolls: Saints at Panthers leads Separation Sunday at ARE YOU NEXT.